This sweet girl came into this world gently, steadily, and healthy. Her mama made the decision to invest in a full First Year package with Liz Cook Photography and I have had such a wonderful time getting to know her family! Here is one of our first sessions together, her Fresh48! Are you expecting and aren't sure how you feel about a birth experience? 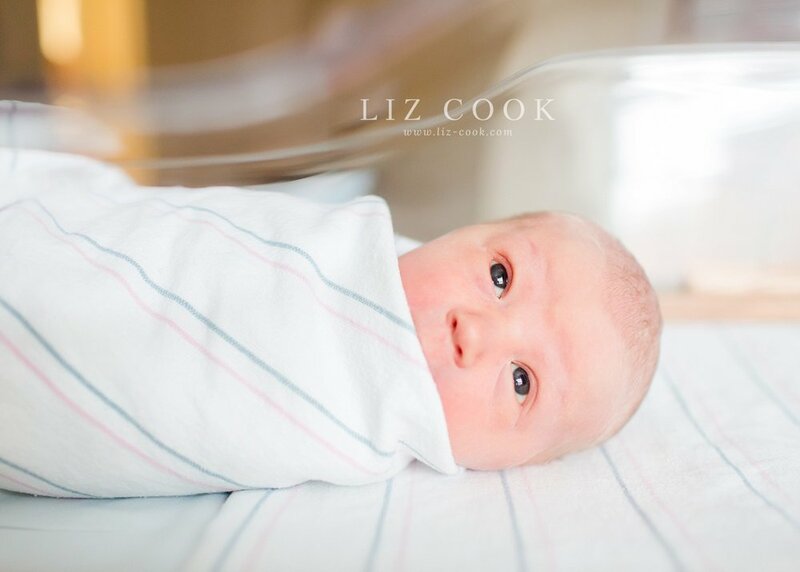 A Fresh48 session is a great option for you if you want those first few moments of your baby's life captured, but you don't feel quite so comfortable with the idea of a camera in your delivery room. I will come to your birth space only hours after your baby has arrived to capture all the going-ons and the sweet moments of exploration as you get to know one another. I am currently booking Fresh48 sessions as far out at late Summer 2017. Fresh48 sessions are best booked during your third trimester. I will be on-call for you (which means I won't travel out of town, etc) and once you go into labor, you simply let me know! I will clear my schedule to make room for your session within the next 24-48 hours. Contact me today to reserve your session.